Whether you have a company with 5 employees or 500, a data breach can hurt your business just as much, and actually, small businesses often suffer more due to a breach having a larger overall impact on their operations. Cybersecurity is a vital component in any organization’s technology infrastructure, and any meaningful network protection entails more than simply a firewall or anti-virus program alone. Cybersecurity best practices include multiple layers of protection. At ManagedIT, we help small businesses protect their data and networks from multiple online threats through a comprehensive IT security program. We use a holistic approach that incorporates many of the data security strategies that have proven the most successful. What are some of the biggest cyber threats that small businesses can face? Why Do Small Businesses Need to Worry About Data Breaches? If you’re thinking that your business is too small for a cyber criminal to worry about, you’d be wrong. While small businesses may have fewer assets to steal than a large enterprise corporation, what a hacker can get is still very valuable. And hackers target small businesses because they’re often easier for them to breach. What kind of information are small business owners most worried about protecting from hackers? 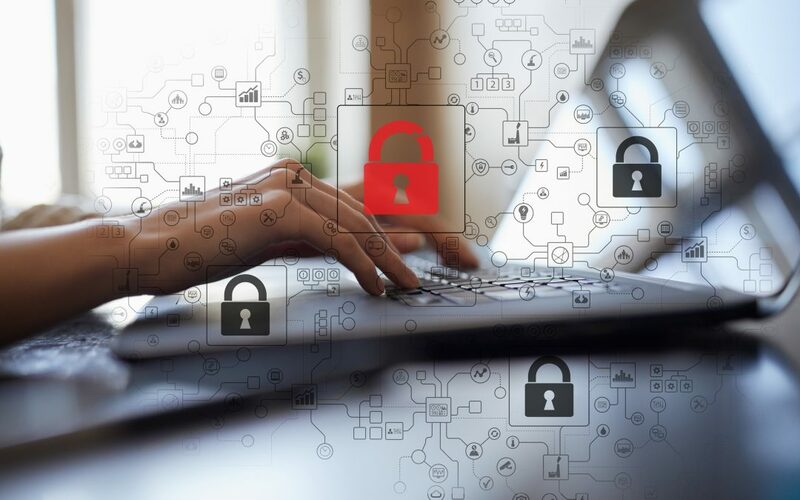 The good news is that by adopting reliable cybersecurity practices, you can protect your business from a data breach and avoid costly business disruptions. Read on for things you can do to secure your technology. We specialize in small business IT and take cybersecurity very seriously. Strong network security is really the foundation of your entire technology infrastructure and the health of your business relies on it. Here are 8 important practices that will help keep your business and data safe. Phishing is the #1 cause of data breaches and attacks increased an astonishing 476% from 2017 to 2018. Phishing emails are getting more sophisticated than ever, making it difficult for most employees to distinguish them from a legitimate email. Anti-phishing applications use machine learning to help identify phishing and stop it before it can trick a user into downloading a malicious threat, adding an important layer of protection against one of the most prevalent online dangers. Next generation firewalls are one of the strongest protections you can have on your network. It monitors incoming data packets and looks for any suspicious traffic or known threat signatures. Next-gen firewalls offer more protection than simple firewalls and include things like application awareness that allow companies to set application specific user policies (such as allowing Facebook, but blocking Facebook Messenger chats). Many business applications now automatically include a mobile app because companies are sharing more of the desktop workload with mobile devices. While this offers the benefit of mobility and increased productivity, it also carries security risks. A Mobile Device Management program allows you to keep track of which devices are accessing your data, provide important security administration, and even remotely wipe lost or stolen devices. Do your employees know whether or not they can connect to an unsecure public Wi-Fi when accessing company data? Have they been trained to identify phishing emails? Your staff is often your last line of defense against a data breach, proper training and written cybersecurity policies will help them be prepared. You can stop password hackers in their tracks simply by employing multifactor authentication for all your logins. This means that in addition to a username and password, a time sensitive code that’s sent to the user at time of login will also need to be entered. This one extra step significantly increases IT security. Never worry about being on an insecure Wi-Fi again and add another layer of protection to your office internet connection. A VPN acts as a safe and secure tunnel between your office and the internet, and it can also be used to safely go online while traveling and away from the office. Viruses and malware are still very much a threat and new ones are being developed every minute. Using an intelligent anti-virus/anti-malware solution on each device at your office (desktops, tablets, servers, etc…) ensures files are scanned regularly and any identified threats quarantined before they can attack your network. Get a Free IT Security Consult Today! Don’t leave your IT security to chance. Is your network properly protected? You don’t’ have to wonder, you can find out for free by contacting ManagedIT for a complimentary security review today. Request your consult by contacting us online or calling +65 6748 8776.